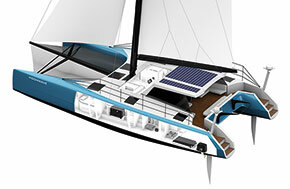 The most powerful electric sail drive from serial production is a Torqeedo. 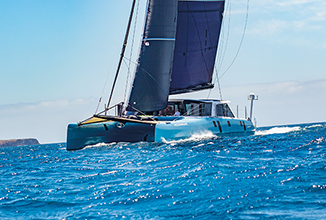 The Deep Blue 40 SD propels sail yachts of up to 40 feet in length to speeds of up to almost ten knots (18 km/h), or smaller boats even faster when planing. 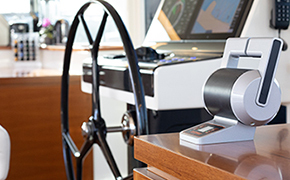 This makes cruising with large sail yachts completely emission-free with virtually no noise or vibration. The Deep Blue sail drive is part of a completely integrated comprehensive system that was developed using industrial engineering methods, comprises high-tech components and which is manufactured in series production. Folding propeller – low drag while under sail, powerful while motoring. With an overall weight of less than 90 kg for motor, sail drive and electronics, the Deep Blue 40 SD weighs less than a conventional sail drive with combustion engine. This benefits weight distribution on board, as the low net weight of the Torqeedo Deep Blue 40 SD makes a sailboat noticeably lighter at the stern than a similar configuration with a petrol or diesel engine when the motor is installed toward the rear. The electric drive also excels when it comes to overall weight. Together with the149 kg top-class, high-performance lithium battery, the Torqeedo Deep Blue 40 SD has a gross weight that is very similar to the weight of a combustion engine with the necessary fuel tank. The weight of the lithium battery can also be used to advantage in the design of the boat. 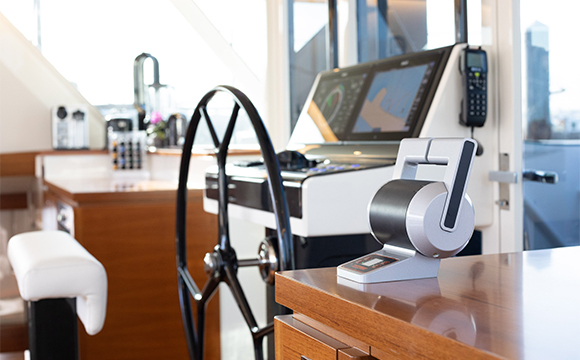 The fact that the battery package can be arranged variably when the Torqeedo Deep Blue 40 SD is installed allows the weight of the drive system to be distributed around the centre of the vessel. This is the arrangement favoured by boat builders and boatyards. No sailor likes the sound of an engine when travelling in calm conditions or when casting off or landing under engine power. In contrast to conventional petrol- or diesel-powered sail drive engines, the Deep Blue 40 SD operates quietly, creating extremely low noise emissions. The electric sail drive operates almost in silence owing to the nature of the system. 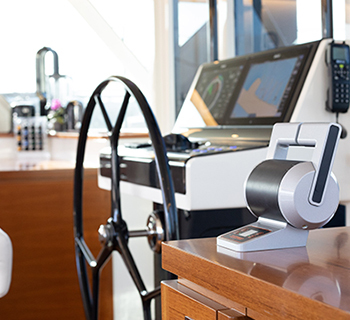 As the most powerful electric sail drive from serial production, the Torqeedo 40 SD delivers the equivalent of 40 HP of power, which makes it ideal for use with displacement vessels and large sail yachts. The new Saildrive 40 SD is a part of Torqeedo’s Deep Blue series of high-performance motors. 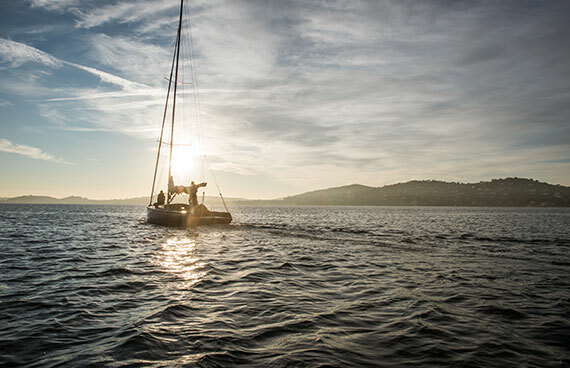 The high-tech components of the fully integrated overall system are carefully selected to match each other and are perfectly adapted for use on water. They offer professional safety features, compliance with international standards at system level and extreme ease of operation. The Deep Blue 40 SD can also be used to generate electricity. The seamless integration of the sail drive into Torqeedo’s hybrid system offers the option of recovering energy while under sail through hydro power generation using the electric drive. 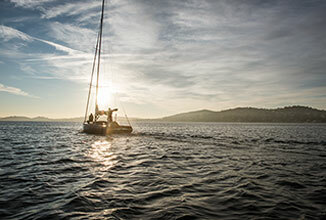 The Deep Blue 40 SD is emission-free on water and requires no consumable materials. There are no incidental costs for petrol or diesel or for regular maintenance incurred by a combustion engine. Since the lithium batteries in the Deep Blue 40 SD are manufactured to the same high standards of quality as in the automotive industry, Torqeedo offers a warranty of nine years on battery capacity, promising a residual capacity of 80 % after nine years of daily use.